Joe is fearless. Joe is intense. Joe loves the battle and is not afraid of any defendant. He has sued and tried cases against individual defendants as well as international corporations. Joe loves being a plaintiff personal injury trial attorney and it shows. 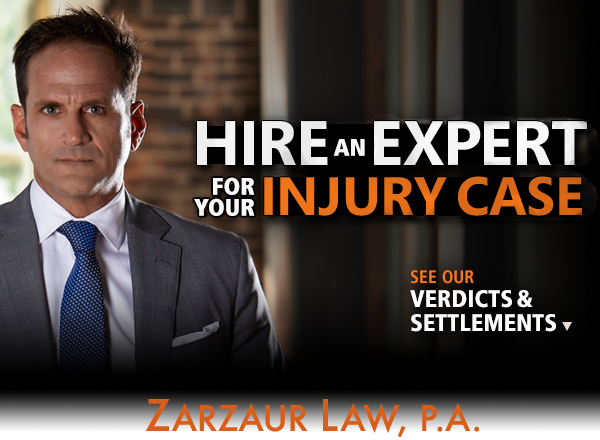 Joe Zarzaur is a Board Certified Civil Trial lawyer and has record jury verdicts in both Escambia and Santa Rosa County in injury cases. He obtained a 9.3 million dollar verdict from an Escambia County jury and has a 2.5 million dollar verdict from a Santa Rosa County jury. These were both injury cases that did not involve death. Only about 1 Percent of Florida lawyers are Board Certified and there are only 13 lawyers between Pensacola and Panama City who have the same Board Certifications that Mr. Zarzaur has earned. 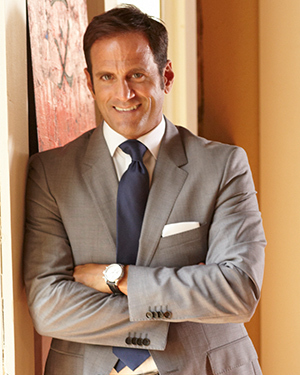 Joe Zarzaur is proud to be a trial lawyer and personal injury lawyer in Pensacola, Florida. His career is dedicated to representing families that have been the victim of another’s wrongdoing. Joe Zarzaur is an AV Rated, Board Certified Civil Trial Specialist and recognized so by the Florida Bar and the National Board of Trial Advocacy. 100% of his practice is dedicated to 1 type of case – Injury and Death cases. Joe is not afraid of Big Defendant. Joe Zarzaur has sued international companies including Johnson and Johnson and the World Anti Doping administration. He has tried cases to juries in many states across the country including California, North Carolina, Louisiana, Alabama and Mississippi. Born and raised in Birmingham, Alabama Joe attended and graduated from a public high school. He earned the rank of Eagle Scout during those years before college and competed on the junior varsity wrestling team and the varsity golf team. As part of his Eagle Scout process, Joe was given the opportunity to spend the day with another local Eagle Scout that worked in a field that Joe thought would be interesting. Joe selected a local trial lawyer as his mentor. This passion for working inside a courtroom was something that Joe wanted from an early age. Joe attended Spring Hill College in Mobile, Alabama where he was a pre-law sociology major. While at Spring Hill, Joe served in various offices for his student government association, including being elected President in his senior year. Joe graduated from Spring Hill in 1993 and went straight to law school. Joe chose Cumberland School of Law, at Samford University for one main reason, its student trial program was one of the best in the country. In fact, the entire law school curriculum at Cumberland is designed so that students get into the mock courtroom as quickly as possible. Joe took full advantage of this Cumberland offering and, by his first year, was competing in student mock trials. Ultimately, he would earn a spot on Cumberland’s National Trial Team and competed against law schools from around the country. When Joe finished his law degree his mission of becoming a trial lawyer was slowly becoming reality. Following this judicial clerkship, Joe was offered a position with a insurance defense firm who agreed to permit him to get as much trial work as possible. Well after about a year of this, Joe started to see that not many civil defense cases actually go to trial. So, in order to stay on his career track, Joe went to his firm and proposed that they permit him to take on “pro bono” criminal defense work to make sure he got jury trial experience. So, Joe started taking these criminal cases and started to have some huge successes. Then these criminal cases starting to involve more and more serious crimes and eventually Joe was being sought out as a criminal defense attorney including felonies. In 2000 and 2001, Joe was co counsel in two capital murder trials and in the late 2001, Joe was hired as primary counsel in another capital murder case. Joe ended up trying this particular capital murder case, alone and was successful in that case. He did realize, however, that working for criminal defendants was not as rewarding as he once thought. He loved the trials but was not enamored with the clients. So, he sought out a trial lawyer position in a plaintiff personal injury practice. In January of 2001, Joe took a job with the McKenzie firm in Pensacola exclusively representing those injured or killed because of another’s negligence. He worked there for several years and was able to try many civil jury trials and ultimately became a named partner at that firm. By 2006, Joe had accomplished enough to apply for Florida’s Civil Trial Board Certification. He applied and sat for the Civil Trial Certification Bar Exam and passed it. Then he received the necessary recommendations from judges and lawyers that had worked with him at trials. At 36, Joe was one of the youngest Board Certified Civil Trial lawyers in Florida and for several years was the youngest in the Florida panhandle. Only about one percent of Florida lawyers are board certified and it is the only designation that Florida lawyers can utilize when comparing themselves to other lawyers. Joe founded Zarzaur Law, P.A. in 2007. That year he had the pleasure of representing two time Olympic Gold Medalist Justin Gatlin as Justin fought his way back into the Olympic Games. Justin eventually did get back into the Olympics and Joe was able to see him win the bronze medal in the 100 meter at the 2012 London games. In 2008, Joe and his firm were asked to assist the Obama/Biden campaign in making sure all voting rights laws were being followed for the presidential election that year. Zarzaur Law, P.A. was asked again to perform this task in 2012 by President Obama’s campaign and also served in the same capacity for Governor Crist’s 2014 campaign for Florida’s highest elected office. In February of 2010, after nearly 8 years of litigation on this one case, Joe obtained one of the highest injury jury verdicts in Escambia County history against a “little known” company— Johnson and Johnson. Interestingly, Johnson and Johnson never made any pretrial offers that were close to reasonable and it figured this “little” firm from Pensacola would never take them all the way to verdict. Joe did and won. Of course, Johnson and Johnson appealed the verdict but the jury’s decision was ultimately upheld. Arising from this trial was the “i hate joe zarzaur.com” campaign. You see one of the “ivy league” Johnson and Johnson lawyers had shared with a colleague that he “hated” joe zarzaur. This sentiment was eventually shared with Joe, who thought it was hilarious and flattering at the same time. Joe thought that there may not be a higher compliment coming from condescending lawyers like those employed by many big corporations. So, Joe launched the “ihatejoezarzaur.com” campaign and to this day it seems to deliver the precise point intended- If you fight with him and are unreasonable to his clients, then you may end up hating him since trial is not going to be fun against he and his firm. In 2010, Joe was appointed by then Governor Charlie Crist to help select judges for several of the counties in Northwest Florida. Ultimately, Joe became chair of this commission until Governor Rick Scott chose to not renew his commission seat in 2014. The National Board of Trial Advocates selected Joe as a member in 2011. This is a group of trial lawyers whose mission it is to preserve the civility in our country’s civil jury system. Members are selected by existing members and must be chosen based upon their competency and professionalism. Currently, Joe serves as President of the local chapter. In 2012, Joe was awarded an AV rating my Martindale Hubbell. Martindale Hubbell is the “gold standard” in legal publications and is the oldest lawyer ranking entity in the United States. Ratings come directly from peers, lawyers and judges, in the same community and an AV rating is the highest possible rating for both competency and professionalism. In 2013, Joe was also ranked a 10 of 10 on the legal website AVVO.com. This is a newer form of electronic ranking but some argue more important since its rating system is based upon client reviews not just other attorneys. In 2014, Zarzaur Law opened its South Walton County office. This office is near Destin, Florida and was opened to better serve the firm’s clients in Okaloosa, Walton and Bay counties. Joe continues to obtain record verdicts in the panhandle of Florida. He devotes 100% of his practice to handling personal injury/wrongful death cases. He limits his cases to those where the injury is permanent and the harm caused is a threat to community safety. Joe sees that his job is to enforce community safety rules whether they be in a hospital setting or an intersection, the more the community ignores safety rules the more needless harm occurs. When he is not working (which is not very often), Joe is an accomplished Ironman® triathlete having completed Ironman® races in Brazil and Florida. In addition, Joe loves being on or near the water which is one of the main reasons beautiful Pensacola is his home. By far Joe will tell you that, aside from his job, his most rewarding experience is being a dad to his daughter. Outside of work and training, his daughter is his life. He handles his client’s cases like they are his own. His clients are encouraged to call his cell phone. Most importantly, Joe is doing this job because he wants to right the wrongs and help those who need it most. He also wants to deter those who continue to choose negligent and careless behavior. These things motivate Joe and his staff to serve each and every Zarzaur Law, P.A. client like they are the only case.